SAFER Vehicle and Traffic Safety Centre at Chalmers is a joint research unit using competence from 25 partners from the academy, society and the industry. SAFER provides excellent multi-disciplinary research and collaboration to eliminate fatalities and serious injuries, making Swedish society, academy and industry a world leader in vehicle and traffic safety. Research at SAFER spans a broad base, covering several disciplines and encompassing both traffic and vehicle safety in real environments. The centre’s activities engage the very elite in the field of traffic safety, and the results contribute to increasing the competitive advantages of the centre’s partner companies and organisations. Chalmers University of Technology hosts the centre and VINNOVA is the main funder. By using the multidisciplinary scientific competence available within the centre, we will make it a hub for excellence within the field of vehicle safety. During the period 2010–2012, SAFER had a collaborative project oon Trauma Care with the Indian Institute of Technology Delhi (IIT-D). The purpose of the project was to do research on the outcome of trauma care in two communities: On one hand a mature trauma care programme with a fully functional Pre-hospital care; and on the other an evolving trauma care programme with negligible Pre-hospital care. The project was supported by the Region Västra Götaland. The project manager was Associate Professor Per Örtenwall from the Institute of Clinical Sciences at Sahlgrenska Academy, University of Gothenburg. In another project, Chalmers University of Technology, University of Gothenburg and IIT-D joined forces in a new research collaboration project within the area of Transportation. The project addressed different aspects of transportation with a focal point on urban mobility and health effects. The multidisciplinary character will offer an important arena for cooperation and exchange between the universities within research as well as education. The vision is to offer shared curricula between the three universities for students within selected master programs. More than half of the world’s population currently lives in cities and the trend is only increasing in the future. One of the biggest global challenges is how to organize transport in urban scenarios since it is the lifeline of activities in a city. This is a highly complex problem which requires a combination of technological innovation and socio-political considerations. The collaboration was launched in 2010 and addresses the overarching issues associated with sustainable urban mobility and health by combining expertise and cutting edge technologies from the three universities in selected research areas. SAFER/Chalmers is also involved in a collaboration on student exchange on Masters level with IIT-D. In 2015 the student exchange included several students. They presented their work at a seminar entitled ‘Social Perspectives on city transportation – studies from Delhi & urban freight studies in Gothenburg, at the Centre for Environment and Sustainability in November 2015. Participants included Saubhagya Dixit and Leeze Malik, exchange students from IITD who spent the autumn semester at the School of Business, Economics and Law at the University of Gothenburg. The initiative is based on an MoU between Chalmers, University of Gothenburg, and IIT Delhi, came after Professor Geetam Tiwari spent time as a Visiting Professor at Chalmers. More information. Prof. Tiwari is currently the TRIPP (Transportation Research and Injury Prevention Program) Chair Professor in the Department of Civil Engineering at the Indian Institute of Technology. She was appointed an honorary doctor by Chalmers University in 2012, for her visionary research and socially beneficial research on transport. She and her research group have contributed to enhanced knowledge on urban traffic patterns of various vehicles, public health effects in the urban environment and the relationship between the municipal infrastructure and traffic safety. Their research has led to concrete measures, such as the introduction of a Bus Rapid Transit Systems in Delhi, and guidelines for the design of highways and streets in urban environments. This, in turn, has resulted in improved accessibility and traffic safety, as well as fewer emissions of greenhouse gases and less pollution in general. See a video on challenges facing the urban mobility sector in India and the need of an interdisciplionary approach to solving these problems. After Prof. Tiwari’s stay at Chalmers, an MoU was signed. Initially the collaboration focused on joint meetings and workshops related to the area of Transport, such as safety, urban planning, environment and health issues, but now the ambition is to extend this collaboration by exchanging Master thesis students between Gothenburg and Delhi. The goal is to send about ten students from Chalmers and Gothenburg University to Delhi during the spring semester 2016 and to be able to receive as many students from India. Some ideas of possible topics will be available, but prospective students may also come up with own ideas. All subjects should relate to the area of transport in some way, but this is a very broad field. 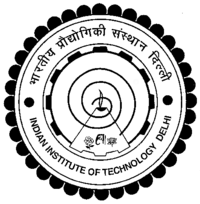 Professor Tiwari has suggested work on topics related to ongoing or planned projects at IITD, such as: Monitoring of Vehicle Driving Cycle and Air Pollution; Detailed Analysis of Traffic Crash Data; Biomechanics/Crash Modeling involving Pedestrians and Two Wheelers; Urban Freight; and Travel Patterns in Low Income Households. Some assistance can be given regarding funding, to cover parts of travel costs. More information from Moa Persson.